A total of 55 people and 39 innovations have been named as candidates for the 2010 Millennium Technology Prize. All fields of technology are widely represented. According to President of the Republic of Finland Tarja Halonen, the importance of social responsibility is highlighted by the challenges of the international economic crisis. "Sufficient attention must be paid in time to employment. We must take action to prevent the consequences of the slowdown in economic development coming down most heavily on people who are in the weakest position", President Halonen said in her New Year Speech on Thursday, 1 January 2009. At the government press conference on Tuesday 23 September, Prime Minister Matti Vanhanen extended the Government’s deep condolences on the traumatic shooting incidence in Kauhajoki. The Ministry of the Interior has made a decision that flags are to be flown at half-mast on all public buildings on Wednesday, 24 September, and urges the whole country to follow the example. 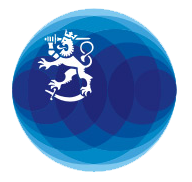 The Government of Finland discussed in its evening session on 7 November the shooting incident that had taken place in the Jokela School Centre. After the meeting, Prime Minister Matti Vanhanen extended the Government’s heartfelt condolences to the families and friends of victims of the incident. During the evening session, the Government observed a short period of silence to commemorate the victims.